Five Years of World BEYOND War: A Conversation with David Hartsough, David Swanson and Leah Bolger - World Beyond War . . .
Five years ago, in January 2014, a few peace activists put into action an idea they’d been talking about: a new antiwar organization devoted to opposing all wars, without exception, and aiming for an international focus and membership. This was the origin of World BEYOND War, and I spent an hour this month discussing this history with three people who have been helping to grow the organization since its humble start: David Hartsough, David Swanson and Leah Bolger. David Hartsough is a co-founder of World BEYOND War and author of Waging Peace: Global Adventures of a Lifelong Activist. Hartsough has organized many peace efforts in such far-flung locations as the Soviet Union, Nicaragua, Phiippines, and Kosovo. In 1987 Hartsough co-founded the Nuremberg Actions blocking munitions trains carrying munitions to Central America In 2002 he co-founded the Nonviolent Peaceforce which has peace teams working in conflict areas around the world. Hartsough has been arrested for nonviolent civil disobedience more than 150 times. David Swanson is an author, activist, journalist, and radio host. He is director of World BEYOND War and campaign coordinator for RootsAction.org. Swanson’s books include RootsAction.org. Swanson’s books include War Is A Lie and When the World Outlawed War, as well as Curing Exceptionalism, War Is Never Just, and War No More: The Case for Abolition. He is co-author of A Global Security System: An Alternative to War. He blogs at DavidSwanson.org and WarIsACrime.org. He hosts Talk Nation Radio, a weekly podcast. As we discussed five years of World BEYOND War, we often found ourselves discussing issues that other political activists, community organizers, elected leaders or journalists must also deal with: what inspires us to keep trying to do what we do, and what are the challenges we face, and where are our sources of inspiration? 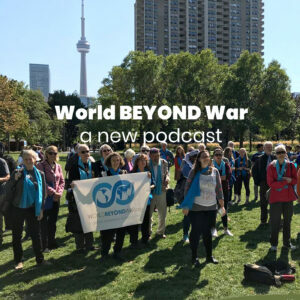 This hour-long conversation kicks off an exciting new feature here at World BEYOND War: a new podcast series. Please enjoy the first episode via SoundCloud, and we will update this link with more podcast listening choices as soon as they become available. Let us know what you think! 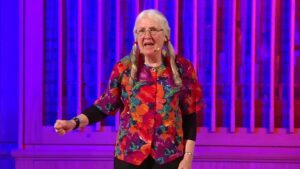 Kathy Beckwith: "It's Time To Abandon War"